Supplementary tax charge against Russian Mail invalidated | Russian Legal Information Agency (RAPSI). MOSCOW, May 26 - RAPSI, Dmitry Shchitov. 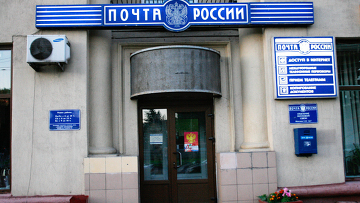 The Moscow District Federal Commercial Court has declared as invalid over 100 million rubles (approx $3,511,310) in tax claims against Russian Mail (Pochta Rossii), the court told the Russian Legal Information Agency (RAPSI). The court has held against the Tax Service’s cassation appeal. The Tax Service made Russian Mail liable to pay additional taxes due to its 2006-2007 audit in February 2010. Earlier, Russian Mail’s press service told RAPSI that it considered the claims unlawful and demanded their withdrawal. It also said the Tax Service arbitrarily interpreted the Tax Code. Russian Mail has 42,000 branches. Its revenues in 2009 amounted to 96 billion rubles, with a net profit of 306 million rubles. 16:01 26/05/2011 The Moscow District Federal Commercial Court has declared as invalid over 100 million rubles (approx $3,511,310) in tax claims against Russian Mail (Pochta Rossii).